Enjoy a whole day on a private boat just for you and your party, having an experienced skipper to take you to the most beautiful parts of Zakynthos island. Book the trip with us and get ready for a day full of sun and sea. You set off from Limni Keri at 09:00 in the morning. A skipper will be with you, willing to show you all the Zakynthian beauty. There is nothing to worry about as both the boat and you are fully insuranced .Furthermore there is a GPS gadget on the boat while the sea patrol will offer their help in case needed. Although you can decide where and how long to stop, let us make some suggestions because, as locals, we have already done the trip. So, we recommend you to stop in Marathonisi, the turtle shaped island. The Carettas have chosen its beach to lay their eggs.You might even be lucky to see one. Next you will pass past Cameo, a tiny private island. 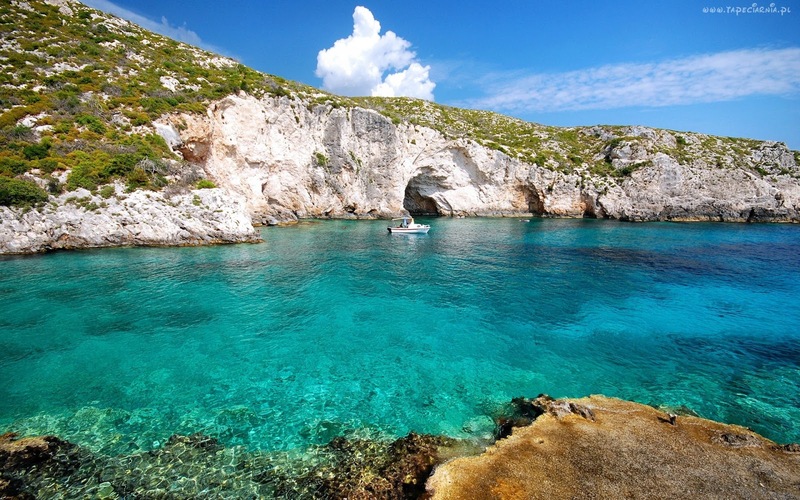 Zakynthos Island is full of natural beauty. Marathias beach, Kamares (arches) and Oasis beach are places ideal to take lots of pictures. The colorful shades created by the reflection of the light on the rocks will impress you in Keri Caves. A bit further two huge, white rocks the famous Mizithres stand in the middle of the sea. Sailing along the western side of the island, you pass by Pisines, Agalas Caves and Korakonisi. The rocks, the cliffs and the blue sea compose unforgettable scenery. Porto Roxa comes next. This small port will amaze you with its clear, blue sea water. Final destination of the trip is Porto Limnionas. You won't find sand anywhere only rocks but it is worthwhile to be explored as its beauty is naturally virgin. 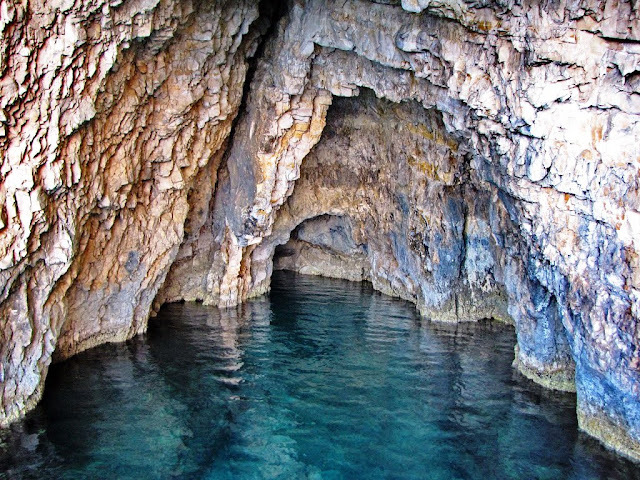 Limnionas is ideal for diving. Put on your goggles and dive into the deep, a bit cold water to see the remarkable bottom of the sea. As the sun sets, you return to Keri where the trip ends after this amazing day full of Zakynthian pictures. For the resorts of Alykanas, Alykes, Amoudi, Kalithea, Psarou, Gerakario the pick-up point is at Popeye's restaurant in Tsilivi. For the resort Vasilikos the pick-up point is at the church of Agios Efstathios in Argasi. To book a trip, please contact us daily from 09:00 a.m. until 12:00 night.